Otherwise, click on the main listing, which will give an Abstract summary only (unless you pay the publisher). Once you’ve got the list, how do you know which article is best? Avoid cherrypicking by finding a recent review article, which summarises many scientific studies. Here’s an example: I want to find out whether turmeric will help my dog’s arthritis. I go to Google Scholar and search “turmeric arthritis dog review” and get the screenshot pictured. Try to avoid short abstract summaries; the third one down is a freely available full download from wiley.com and will answer your question perfectly (sadly, there is no evidence turmeric works, but as it’s also likely to do no harm you are welcome to try it). Assess the date. Try to use articles from within the past ten years if at all possible. These will reflect the latest knowledge and correct for earlier errors. Assess the journal. Is it peer-reviewed? Peer review is part of publishing in reputable journals, where other experts in the field read the paper first. The paper is either accepted or rejected based on the author’s knowledge, methods and conclusions. Peer review is a filter that will usually remove the most inaccurate and misleading articles. See how to find out if a journal is peer reviewed below. Observational studies (such as “Average Lifespan of Dogs With Arthritis” can’t generalise from small groups unless they have selected a representative sample from the population. Do the dogs studied represent your dog, or is the group somehow different? Veterinary studies often use dogs that attend a referral centre, for example, which don’t reflect ‘average’ dogs at all. Results with statistical significance* not just ‘improvement’ or ‘correlation’. The ideal study is large, recent, double-blinded, placebo-controlled, university-based and published in a respected journal. Not every good study will tick all the boxes but missing items can alert you to possible weaknesses. This article gives another view on assessing primary research papers. †Single-blinded means the pet owner did not know whether they were giving placebo or control. Double Blinded means neither the owner nor the observer knew. This should prevent observer bias. *Statistical significance is testing to ensure that what was found was very unlikely to have been caused by chance. It’s not enough for a study to show the numbers moving in the right direction; the important thing is how unlikely is it? The benchmark, called the p-value, is usually set at odds of less than one in twenty, or p<0.05. A p-value of 0.05 means studies will produce misleading results at least one time in twenty. In practice it’s even higher than this once you add in bias, poor study design and poor use of statistics. These studies are what we call ‘junk science‘, and they are loved by conspiracy theorists, single-issue campaigners and the media. The best defence is to not rely on single studies unless they’re very well conducted. Take the technical language slowly and try to look up new words. They’ll keep reappearing. Use the Abstract (a short summary) to decide if you’re interested but don’t worry if it doesn’t make sense. I only use the abstract to decide if the subject interests me enough to read the whole paper. The Introduction gives a good background to the field. You may find other references cited here you’ll want to explore later. The Method shows how the authors designed and carried out the study. Skipping this is OK if you trust them but it’s my favourite place to pick holes. The Results section shows the raw data and its statistical analysis. Try to have a good look yourself at any tables or graphs; you’ll be surprised how much you can make out. Authors are always tempted to mention any changes but only pay attention to results that are ‘statistically significant’. The Discussion outlines the paper’s main findings and puts them into the context of other work that has been done. If you’ve read the Method and Results sections you may disagree with some of them! The Conclusion summarises the most important findings but can’t be trusted alone. The References are very important. Look for citations from the major journals in the field. Be skeptical of exaggerated claims. Scholars and academics usually acknowledge the weaknesses in their findings and what further work is needed. Ask yourself if the findings are supported by the evidence. This study on coat colour in cats stated that tortoiseshell cats were more aggressive to people. The less sensational fact is that female cats are more aggressive than males, which has been shown before, and that tortoiseshell cats are almost always female. I would be delighted to answer any questions if anyone took the interest to bring a paper in. Click through to the Journal’s home page. Read though the information supplied by the publishers. 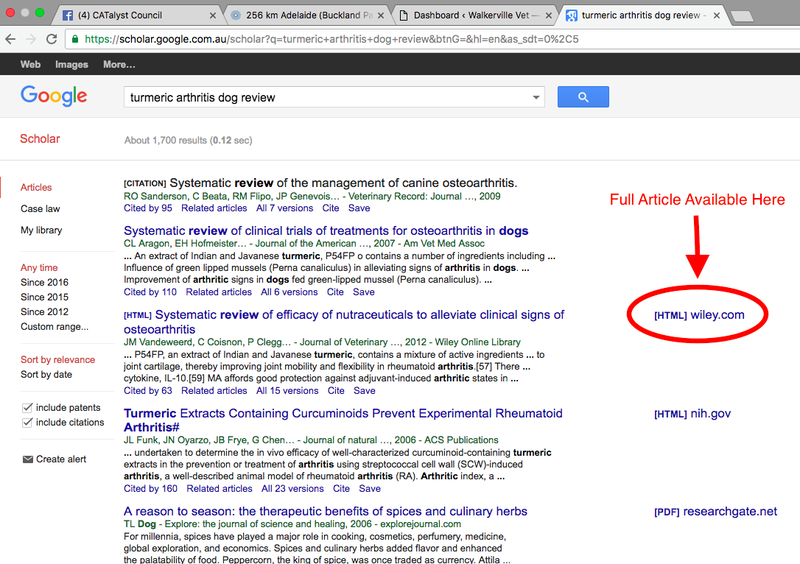 Good journals should always state on their website if the articles are peer reviewed. 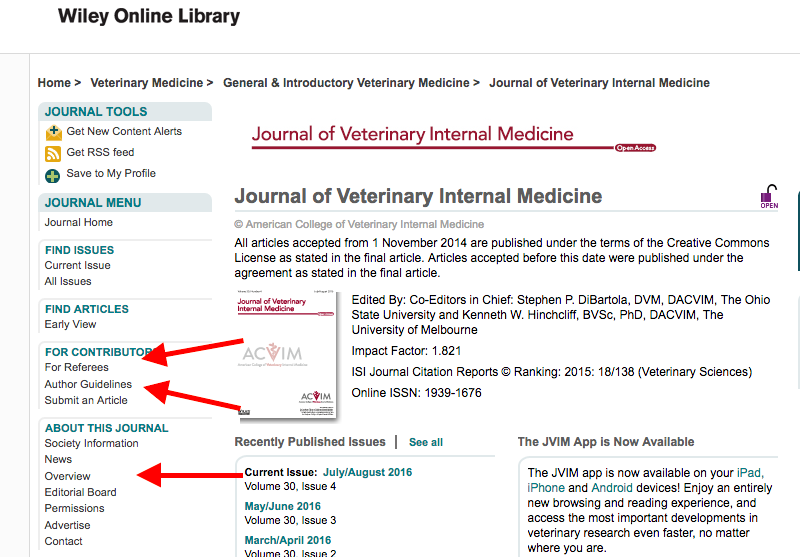 If you can’t see it in the ‘Overview’ or ‘About’ page, find it by going to Information for authors. If it has ‘Information for referees/reviewers’ like this page you already know it’s peer-reviewed. Is Desexing and Neutering Good For Dogs? Does Neutering Cause Aggression In Female Dogs? Lastly, this TED talk on the misuse of statistics in everyday life is a good way to finish. Previous PostPrevious Is Breeding Bigger Better?